CMP process development and research into new materials and consumables (eg pads, slurries, conditioning disks) on full-scale production systems is expensive. The costs can add up: test wafers, consumables, overheads, depreciation and lost productivity when running tests instead of production wafers. 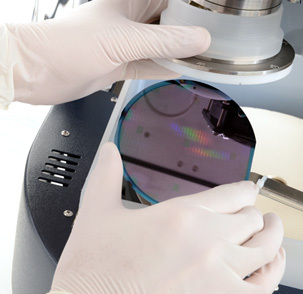 With the TriboLab CMP you can perform studies on coupons cut from larger wafers, resulting in substantial cost savings. 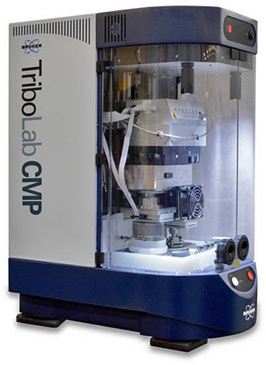 Based on over 20 years of characterisation experience from its predecessor (CP-4) and the UMT TriboLab, the TriboLab CMP is the only process development tool providing a broad range of polishing pressures (0.05 – 50 psi), speeds (1 to 500 rpm), friction, acoustic emissions and surface temperature measurements for accurately characterising CMP processes and consumables. Testing Conditioning Discs: Tests identify two groups of discs. 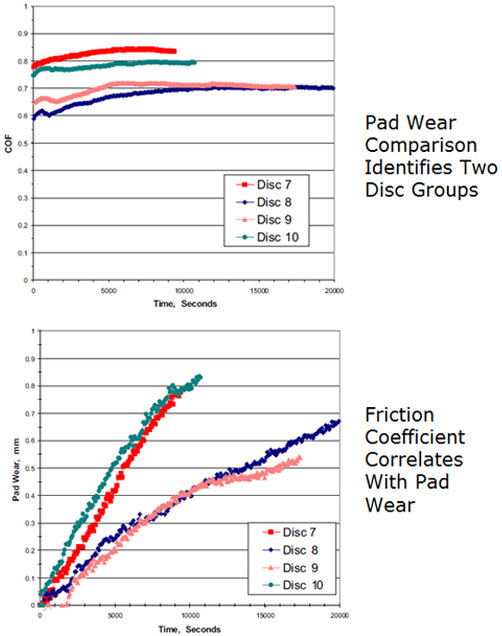 Friction coefficient tests correlate with pad wear.